Writings by Hayden Carruth, John Berger, and W S Merwin. 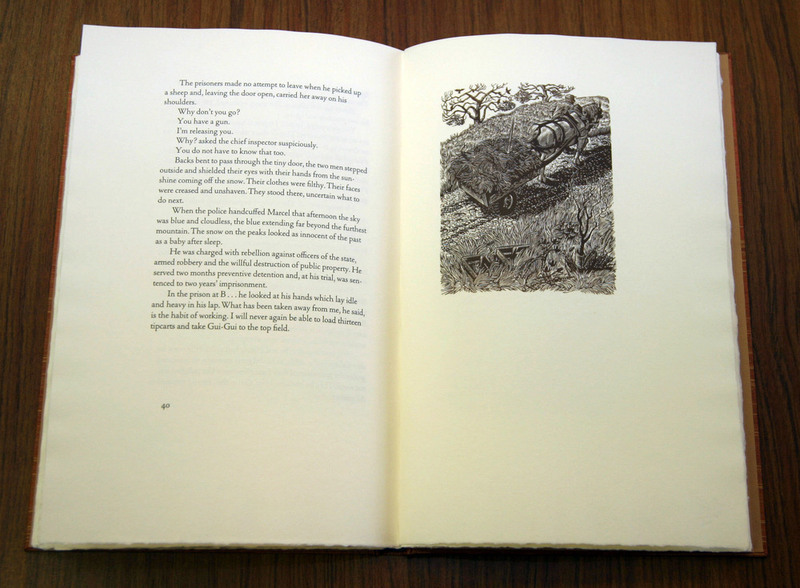 With four wood engravings by Wesley Bates. Printed from handset Cloister Lightface type on Twinrocker paper in an Ostrander-Seymour iron handpress and bound in cloth-covered boards by Priscilla Spitler. 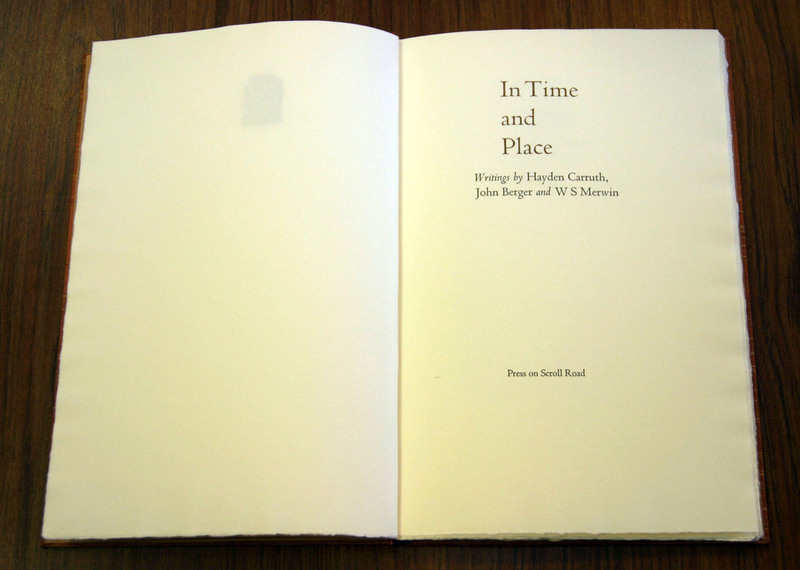 12" x 8", 56 pages, in an edition of fifty-four copies. $345.00. Out of Print.